new comments and replays. comments: I've just played this mod. 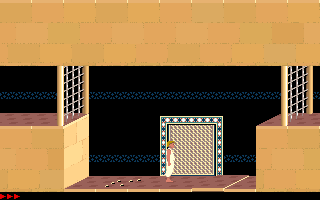 Most of its levels are very easy and straightforward. Levels 10 and 11 a little more difficult, but still easy. There are a lot of LP's and they are easy to obtain. Some long jumps; shouldn't be a problem for most players. 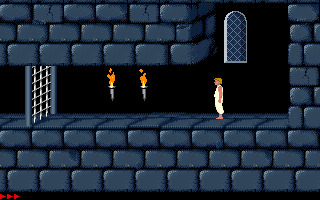 It may be difficult for some players to get the sword in level 1. This is the second I've ever played, and I enjoyed it a lot. It was one of my inspirations to create my own levels (like adding lots of LPs XD). Level 11 is a bit difficult and annoying when you loose in an advanced part. very nice mod. difficulty is similar to original pop. My major feeling about this mod is relaxation and enjoyment because most of the levels are easy to win in one go although minor parts of them require you to know some POP tricks in order to go on. Level 11 certainly stands out from the mass because it demands careful approach which is generally not required in the previous levels (not that much at least). 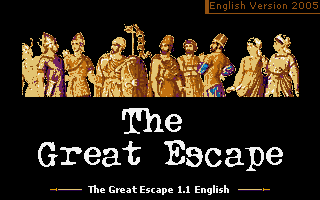 Generally speaking, positive sides of this mod are related to good mixing between easy and hard moments which make "The Great Escape" worthy to be played and usage of custom graphics which is another nice touch that scored in favour of the enjoyment factor. The only "negative" side is related to the reunion between the Prince and the Shadow in Level 12a which works in a different way than you would expect on the assumption that you are playing a mod which tends to be loyal to original game (I had to make a search in the forums for more info about it). Maybe too many life potions ! Excelleny very exciting I am from Peru. I love this webpage.